Due to a performance-related injury, Brant Taylor will no longer be able to perform with Symphony NH for this event. We wish him a speedy recovery. Click on the tracks below to listen to the music on this program. 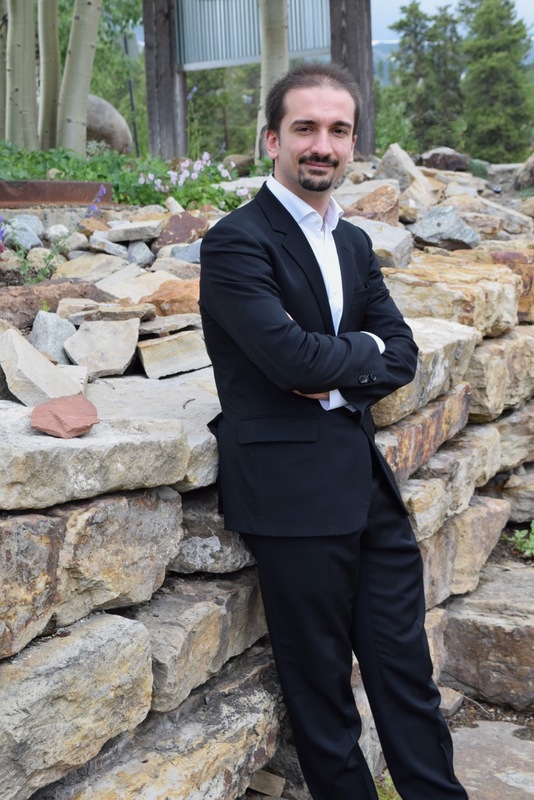 From Boise Philharmonic, to Atlanta Opera, to Filarmonica Marchigiana in Italy, conductor Stefano Sarzani enjoys an international career leading orchestras and operas across the United States and Europe. Stefano is one of Symphony NH's Music Director Search finalists. | Click here to read Stefano Sarzani's full bio. Stefano Sarzani cultivates an international career in both North America and Europe. In the summer 2017 he will be back at Des Moines Metro Opera, conducting Piazzolla's masterpiece Maria de Buenos Aires and as associate conductor for Turandot. His recent engagements include conducting Suor Angelica and Gianni Schicchi at the University of Memphis and symphonic concerts with Filarmonica Marchigiana (Italy). Lately, he has also worked for Den Jyske Opera (Danish National Opera) and Opera National de Lorraine (France). Mr. Sarzani is recipient of the Solti Foundation U.S. Career assistance Award 2016 and he has collaborated with symphonic and operatic institutions such as Boise Philharmonic Orchestra, National Repertory Orchestra (Colorado), Orchestra Sinfonica di Sanremo, Atlanta Opera, and Sarasota Opera. Equally versed in symphonic and operatic repertoires, he is also invested in cultivating interactions among music, multimedia, and other art forms: in Cincinnati his multi-art project (music-dance-poetry-visual art) on Das Lied von der Erde received great acclaim and was a big success. Mr. Sarzani’s education observes the finest of both American and European traditions, represented by institutions including Indiana University, University of Cincinnati College-Conservatory of Music, Monteux School, Conservatorio G. Rossini (Pesaro), Accademia Musicale Chigiana (Siena), and Accademia Musicale Pescarese (Pescara). In addition, he holds a master’s degree in political science from University of Bologna. Marza has appeared as soloist with the Genesee Symphony, Cayuga Chamber Orchestra, and Orchestra of the Southern Fingerlakes. She has toured with the Sphinx Virtuosi, performing in such venues as Carnegie Hall and the Kennedy Center. She will be making her New York solo debut at Alice Tully Hall with the World Civic Orchestra in June 2019. | Click here to read Marza Merophi Wilks's full bio. Marza Merophi Wilks, a Peruvian-born cellist, recently graduated with a Master's Degree from The Juilliard School where she studied with Natasha Brofsky. She also holds a Bachelor of Music degree and a Graduate Diploma from the New England Conservatory, where she was a student of Natasha Brofsky and Paul Katz. Ms. Wilks has appareed as a soloist with the Genesee Symphony, Cayuga Chamber Orchestra, and Orchestra of the Southern Fingerlakes. She has toured with the Sphinx Virtuosi, performing in such venues as Carnegie Hall and Kennedy Center. She will be making her New York solo debut as Alice Tully Hall with the World Civic Orchestra in June of 2019. A semi-finalist of the Sphinx Competition, Marza has a strong passion for community engagement and sharing her music with underrepresented communities. As a part of this mission, Ms. Wilks founded the Adelphi Quartet, a group of young and talented African-American/LatinX musicians. They are music ambassadors at the National Orchestral Institute and Festival, where they teach and perform. The quartet will be performing at the Cosmos Club in Washington DC in 2020. Ms. Wilks has played in many orchestras including the Orpheus Chamber Orchestra, Orchestra of St. Luke's, Boston Philharmonic Orchestra, and Apollo Orchestra. She is thrilled to be a soloist on the Grammy-Nominated album "Ruggles, Stucky, & Harbison: Orchestral Works" which was performed by the National Orchestra Institute Philharmonic with David Alan Miller as the conductor. Ms. Wilks enjoys exploring genres outside of classical music. She recently performed with singer/danger/playwright Migguel Anggelo in "So Close, Love + Hate," a show exploring divisiveness, humanity, and hope. While at The Juilliard School and the New England Conservatory, she premiered works by new composers. As part of a string trio, Ms. Wilks was coached by improvisational musician Hankus Netsky on avant-garde composer John Zom's piece "All Hallow's Eve," which they performed at Jordan Hall in Boston and The Stone in New York City. Ms. Wilks is excited to have started a teaching fellowship at the Renaissance Arts Academy in Los Angeles, a school which brings together a cross-section of the city's diverse ethnic, economic, and cultural populations in an ensemble-based environment. Thier core mission is to use the combined aesthetic disciplines of music and movement as a gateway to academics. Ms. Wilks plays a cello made in 2007 by Lawrence Wilke. Programs are subject to change. Tickets are nonrefundable. Group rates are available. Children age 5+ are welcome. Exchanges can be made up to 24 hours before the originally scheduled concert date. Please call for availability. Online ticket sales are available until 4 pm on the day of the concert. The box office at the concert venue opens one and a half hours before the concert. *Free youth tickets available with purchase of an adult or senior ticket. Saving paper? View our program online here.